It is just as shown in the picture. It's very heavy duty good. The tray can very easily be taken out for a wash. I think a grown up dog should be able to fit well in. same as shown . the product is really great my dog iFeels really comfortable in it. Can a black labrador or German shepherd fit in it? what's the exact size? if I give u measurements , will u make it..? 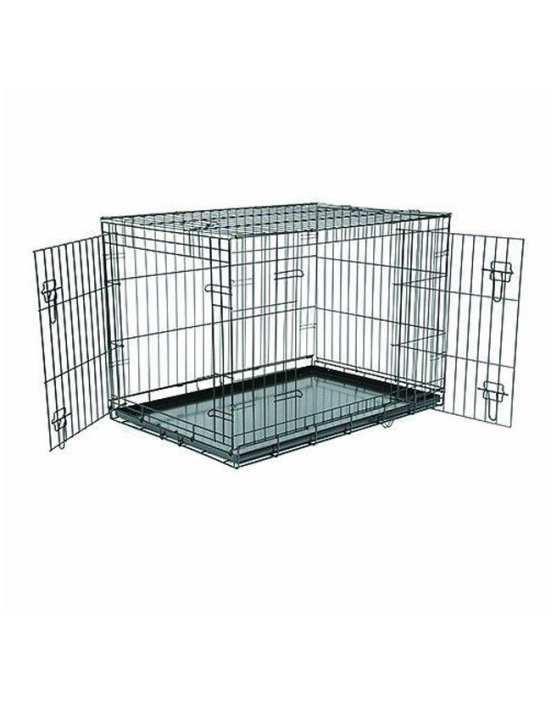 Is this cage for large dogs or birds?